The authors of this inspirational new book were on a mission. While much has been written about teacher burnout and the day-to-day problems teachers face, little has been written about how teachers who deal with these problems overcome them, and continue to enter the classroom each morning with enthusiasm for their calling. To discover such teachers, the authors interviewed over 70 teachers in communities across the country to find teachers who, in a profession characterized by pressure, stress, and little reward, still find teaching an enjoyable, fulfilling career. The book includes over 150 teacher narratives of their real-life classroom experiences. The narratives provide unique insights into creating a teaching mission, setting up a community of learners, discovering the rewards of diversity, balancing personal and professional time, turning mistakes into excellence, using laughter to create rapport with students, and using discipline to create an atmosphere of trust and cooperation in the classroom. From these inspirational stories emerges a vision of the joys and rewards of working with children and a portrait of the teachers who have made a difference in the lives of their students and a contribution to their community. 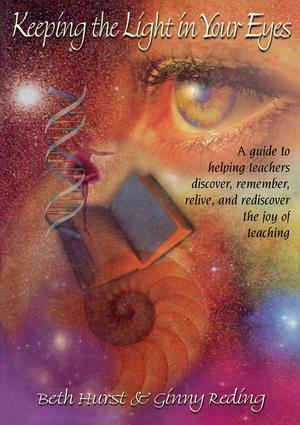 The quotes, stories, and advice written in the teachers' own words are interwoven with practical suggestions for ideas to make the classroom an inspirational environment for students and teachers alike.